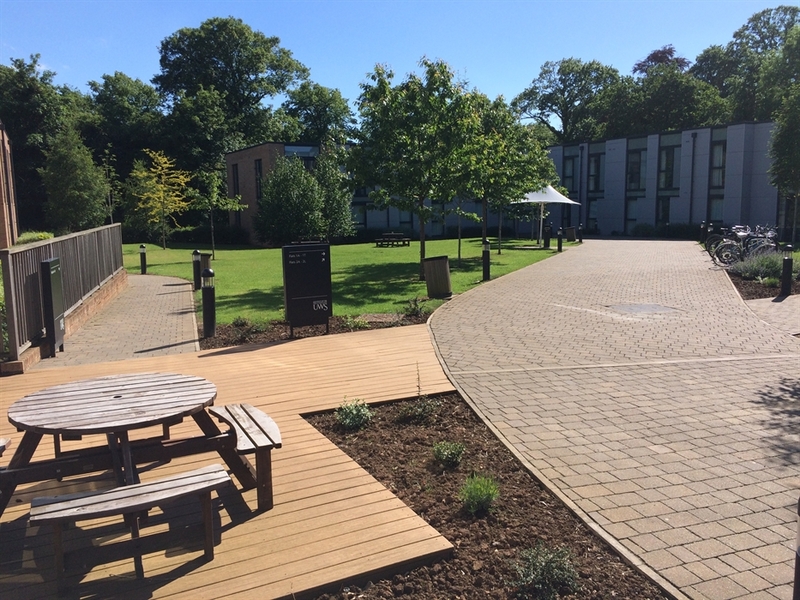 Spacious Modern self catering accommodation on University campus, ideal for groups or individuals whether visiting for leisure or business. Located close to Ayr town centre, with good transport links, free onsite parking and free Wi-Fi. 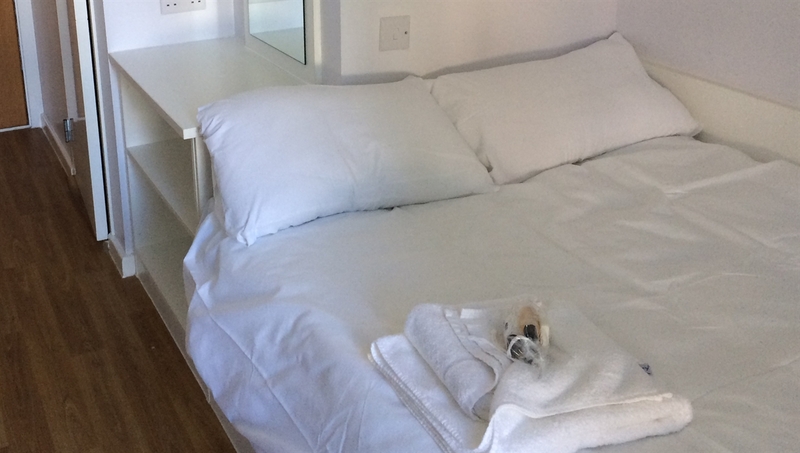 Our flats comprise of 5 private spacious bedrooms each with a queen sized bed, ample wardrobe and storage space, each room has an en-suite shower room. The flat has a shared kitchen/lounge and comes with a fridge freezer, cooker, microwave and kettle. Our accommodation is located close to the river Ayr within Craigie Park, just a short walk to Ayr town centre along our riverside path. On site we have pay as you go washers and dryers, free parking and free Wi-Fi. Our accommodation is flexible, and we can offer the option of a complete flat for up to 5 people or an individual room within a flat, sharing the kitchen/lounge with other guests. Our friendly team are on site 24/7 to help and assist during your stay.